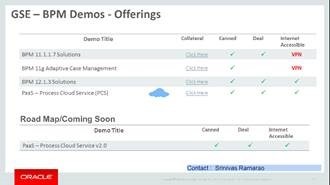 Want to try Oracle PaaS Services including Integration Cloud Service and Process Cloud Service? Get your GSE credentials today! 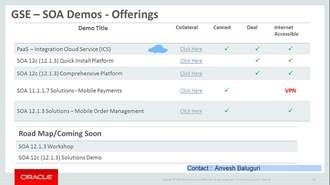 For your information we have valuable video for our partner users, go to demo store on our website http://www.demo.oracle.com and type "Navigating the Partner Demos Portal" as keyword search and it will take you through all below topics. 8. How to add and remove Partner employees from your assigned GSE demo environment.